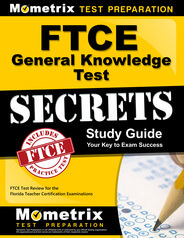 The Florida Teacher’s Certification Examination (FTCE) Physical Education K-12 is designed to test understanding and aptitude for physical education. It is a certification exam that those who want to teach physical education in the state of Florida must pass in order to do so. The exam is designed and administered by the Florida Department of Education to ensure that students in kindergarten through twelfth grade receive physical education from qualified instructors. How Can I Register for the FTCE Physical Education K-12? Appointments to take the FTCE Physical Education K-12 are offered throughout the year at designated sites throughout Florida and around the country. Specific locations can be found through Pearson VUE, a computer-based testing management company that has been contracted to administer the test. The exam costs $200 to take a first time and retakes cost $220. How Is Florida’s Physical Education Certification Exam Formatted? The FTCE Physical Education K-12 is a computer-based test. It contains about 120 multiple-choice questions with four options each. There are three types of questions on the exam: direct response, sentence completion and scenario solutions. What Can I Bring to the FTC Physical Education Exam for K-12? Participants must bring two valid and unexpired forms of identification with them to the FTCE Physical Education K-12 exam, one of which must be government issued with a photograph and signature. Examples of such forms of identification include driver’s licenses, passports or state-issued identification cards paired with social security cards, student IDs or work IDs. What Am I Prohibited from Bringing to the FTCE Physical Education K-12? Participants are also prohibited from bringing with them cell phones, audio devices, calculators, wallets, purses, food and drink or books to the exam with them. When Will I Receive My Score on Florida’s K-12 Physical Education Teacher’s Certification Exam? Participants in the FTCE Physical Education K-12 get their scores through an online Florida Teacher Certification Exam account after completion of the exam within a month of their testing date. An unofficial “pass” or “fail” estimation is available immediately after completing the exam. Only a passing score would be reported to the Florida Department of Education’s Bureau of Educator Certification. The test is graded on a scale and a score of 200 is required to pass. What Strategies Are Recommended While Taking the Physical Education Version of the FTCE? The Florida Department of Education has several recommendations for participants in the FTCE Physical Education K-12. It recommends that exam takers read each question and each potential response carefully, paying attention to all details. It recommends going through the entire test once and answering anything you are fully confident in, then going back and dealing with the more difficult questions afterwards. Because participants are not penalized for wrong answers, it is in their best interests to at least guess an answer for every question. Once the exam is complete, exam participants should go back and check every question and their answers. How Can I Achieve a Passing Score on the FTCE Physical Education K-12? As this exam is geared toward the fundamentals of physical education, covering applicable knowledge for instructing a wide range of grade levels, it’s critical for prospective participants to have a deep understanding of the criteria it covers. Achieving this understanding is only possible through intensive studying with tailor-made tools. 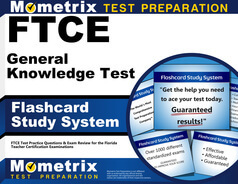 Such tools can be found in Mometrix Test Preperation’s study guide and set of flashcards.